A useful and humorous guide to the Irish session is the Field Guide to the Irish Music Session (a guide to enjoying Irish traditional music in its natural habitat) by Seattle writer and musician Barry Fox (with drawings by Rob Adams), available at Dusty Strings and other Irish shops. 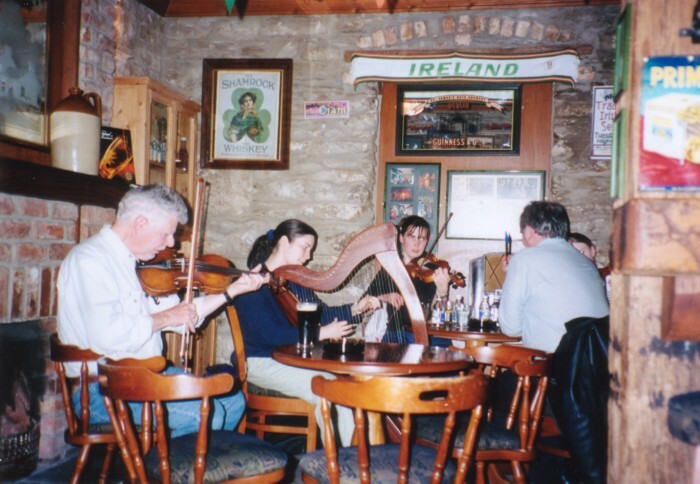 Here are some Irish sessions in the Seattle area: Fadó, 801 1st Ave. (intermediate level, minors allowed), every Sunday, 4 - 7 p.m. Molly Maguire’s, 610 NW 65th St, every Sunday, 1 - 3 p.m. The Old Pequiliar, 1722 N.W. Market St., every Sunday, 9:00 p.m. Dubliner, 3405 Fremont Ave. N., every Monday, 9 p.m. Irish Emigrant, 5260 University Way N.E., every Wednesday, 9:00 p.m. (advanced, led by Leo McNamara). Celtic Bayou, 7281 W. Lake Sammamish Pkwy N.E., Redmond (intermediate level), every Thursday, 9:00 p.m. Wit's End Bookstore, 4262 Fremont Ave. N., first Friday, 7 p.m. (host, Kieran O'Mahony). Stewart Hendrickson is Chemistry Professor Emeritus – St. Olaf College, Research Professor Emeritus University of Washington, and in his new career, an unemployed folk musician (voice, fiddle, guitar; stewarthendrickson.com). Reprinted from The Victory Review, July, 2003.